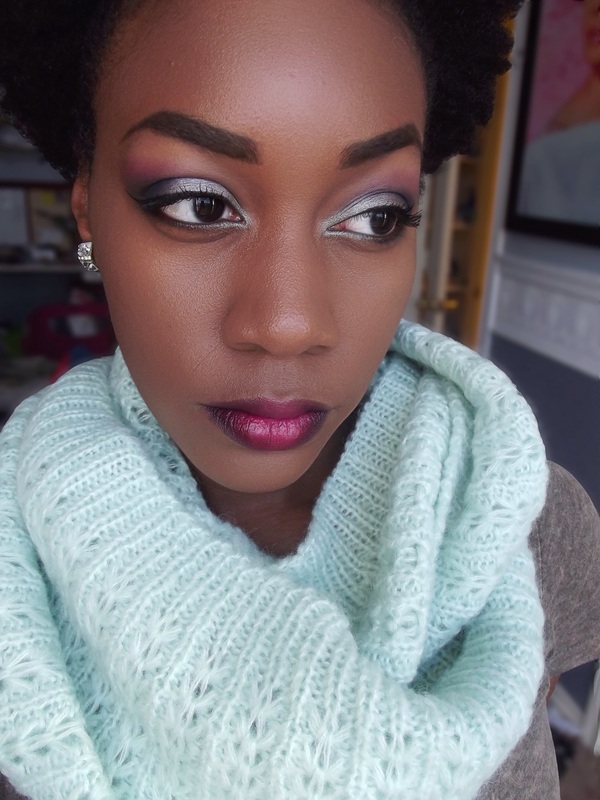 Eyeshadow: I used mostly Verve from the Naked 2 palette x Urban Decay and blues + purples/pinks from the Take Me To Brazil palette x BH Cosmetics. I also added a touch of Deep Truth x MAC. Lips: NARS Audacious lipstick in Vera in ombré with Tarred colour pencil x Obsessive Compulsive Cosmetics.